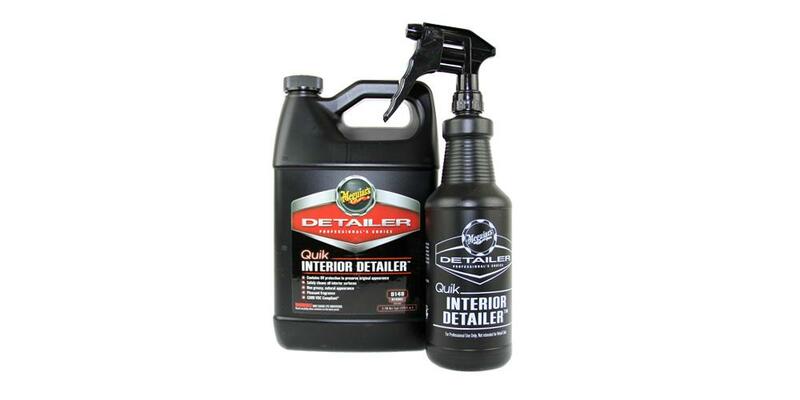 We have hand picked each item in the Meguiar's Quik Interior Detailer Kit because they are highly effective when paired together. To create the best kit possible we utilize our years of detailing experience, combined with input from some of the best detailers around the country. We are confident you will get outstanding results with each item and really enjoy how your vehicle looks afterward. Great stuff! Great natural finish and easy to apply! Great product. Nice smell and no glossy shine, which my preference natural look. Easy to apply with microfiber cloth. I tried others and I think this is it. Will continue buying.